This offer is not available in conjunction with the Texaco Fuel Reward offer. Confused.com Car Insurance cashback can be earned simply by clicking through to the merchant and shopping as normal. Confused.com Car Insurance Cashback is available through TopCashback on genuine, tracked transactions completed immediately and wholly online. 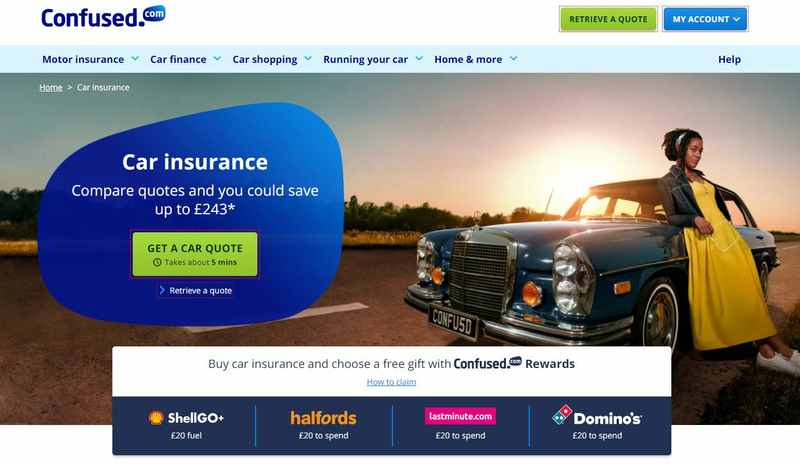 This offer is only available to United Kingdom residents who have purchased a valid car insurance policy through Confused.com via TopCashback. Get a Confused.com car insurance quote in around five minutes on the comparison site and see how much you could save. Just enter details of your vehicle, no claims bonus, any other drivers, your driving licence and any convictions, as well as previous claims and accidents, and they will search more than 100 car insurance providers, including companies like Tesco Bank, Churchill and AXA to get you the best price. Choose comprehensive, third party or third party, fire and theft cover, while they can also provide you with quotes for multi-car, black box and temporary insurance, as well as cover if you use your vehicle for business. They will show you the cheapest annual and monthly prices, while the different levels of cover will also be clearly displayed. 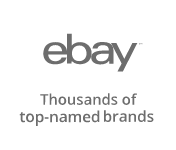 Sign up to TopCashback by filling in the form at the bottom of this page, meanwhile, and you can claim cashback when you get a new, genuine quote, which we will credit to your account. As well as car insurance, you can also get a quote for breakdown cover, motorbike insurance, van insurance, car finance, other financial services, like life insurance, and travel services, such as airport parking. Find short term car insurance quickly and easily, and take out fully comprehensive cover for up to 28 days. It is a great option if someone needs to borrow your car in an emergency and they are not covered on your existing policy, as well as drivers aged under 21 who only have access to a car owned by a friend or relative as they can take out a shorter insurance policy for while they are at home from university or if they are planning on going away for the weekend. If you are learning to drive and are only able to have lessons occasionally, it may be a cheaper option than an annual policy, while one-day insurance is ideal if you do not normally drive but need to on a particular occasion. Classic car enthusiasts can also make use of temporary insurance if they only take their beloved motor out on rare days or weekends. You can arrange cover up to 30 days in advance or benefit from immediate cover when you buy it. You could end up paying less for your cover with black box, or telematics, insurance if you are willing to prove that you are a safe driver. With this option, a small black box will be fitted to your vehicle which will allow your insurer to track your driving in terms of braking, speed and cornering via GPS. Insurers will then be able to offer premiums based on your driving habits, giving you a price tailored to your personal behaviour on the road. When you compare car insurance using the online form, you will be able to look for providers on your list of results who have the black box icon. If you are in a group deemed to be high risk, you could otherwise be looking at high premiums, meaning black box insurance could be good for young, inexperienced drivers, those who do not drive often and have low annual mileage or older drivers looking to prove they are safe behind the wheel. It could result in cheaper premiums, while it is also a good option for all safe drivers. If you have multiple cars in your household, you can renew them together at the same time under one Admiral multi-car insurance policy, through Confused.com, to save you having to keep track of different policies in various places. A multi-car policy can also be used by families who have children that have left home or are at university. With each car you add to the policy, you will receive a further discount - up to a maximum of five. This means that if you start the policy with three cars and then add a fourth, the original three vehicles will have a discount applied to them, as well as the fourth. You can start a policy with one car and get your first multi-car discount, then add other cars to it throughout the year when they are due for renewal. 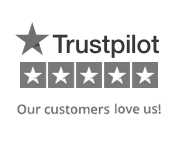 QuickQuote will save you even more time as using it will mean you get your car insurance quote in seconds. If you have used Confused.com before to compare quotes for your vehicle, you can enter your registration and the email address you use for your account and they will use your previous details to provide you with accurate prices. Should any details have changed since the last time you obtained car insurance quotes, you will be able to amend your account to see more accurate premiums. If you are not a registered Confused.com customer, you must first get a car insurance quote on their site as they need to have comprehensive details from you before you can start using QuickQuote. A car insurance quote is based on several factors, including your postcode, age and no claims discount, and they will use these to provide a price comparison for the cost of a premium. Before you buy a policy, you will need to check the details are correct.